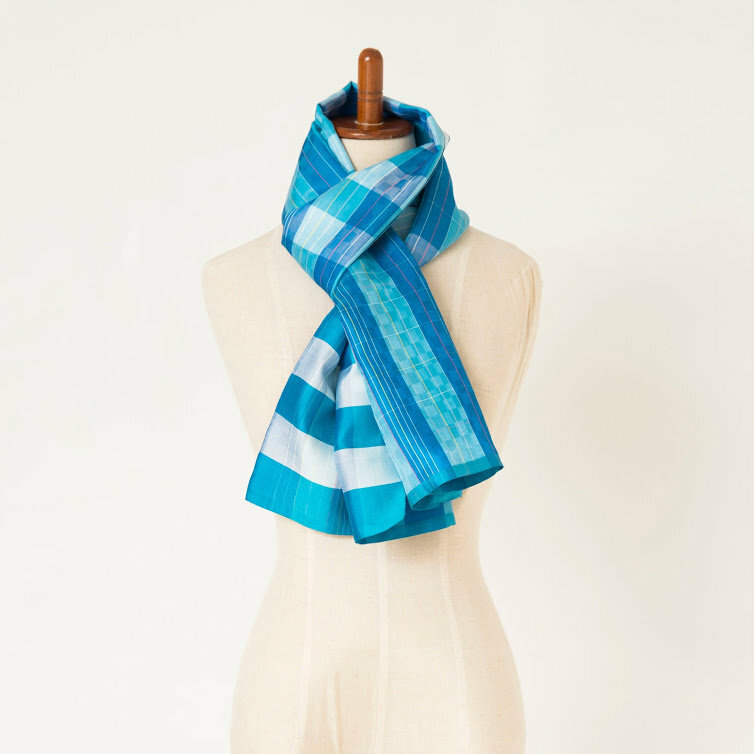 Mekong Blue scarves are 100% hand-woven and dyed using the highest quality non-toxic dye. We have been awarded with the UNESCO Silk of Excellence for Handicraft in Southeast Asia three times. They made with care and pride by the women of the Stung Treng Women's Development Center. Our products allows not only preservation but cultivation of the hundred-year old tradition of silk-weaving.